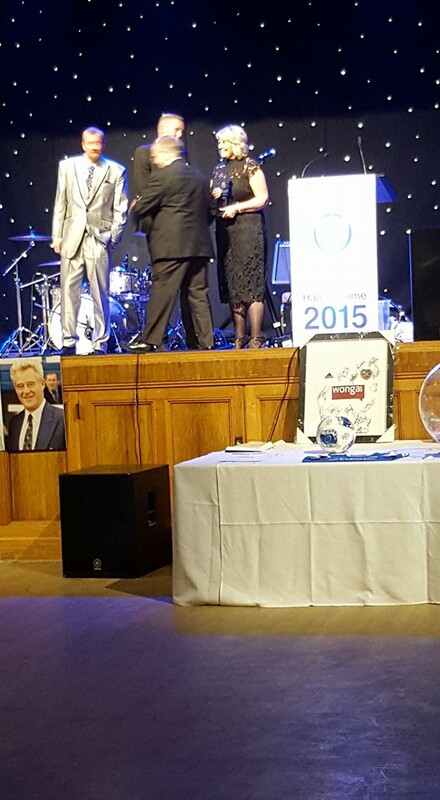 Despite the disappointment of Saturday's result at Palmerston, almost 300 people gathered at the Easterbrook Hall in the evening to induct another 6 new members into the Queen of the South Hall of Fame. Attendees were first welcomed in the Duncan Rooms with a drink before being piped into the main auditorium. A three course meal followed by coffee was enjoyed before the main part of the evening got underway. Guests were entertained by a short display of Irish and Scottish dancing before host Bruce McKenzie got the formal part of the evening underway. First up was Ian Heuchan who gave a short speech of introduction for the first inductee of the night, former Chairman David Rae. Davie served the Board of Directors for more than 12 years and was Chairman for more than 9 years in that time, during which the club reached the Scottish Cup Final and played in Europe for the first time. He remains an Honorary Director now. 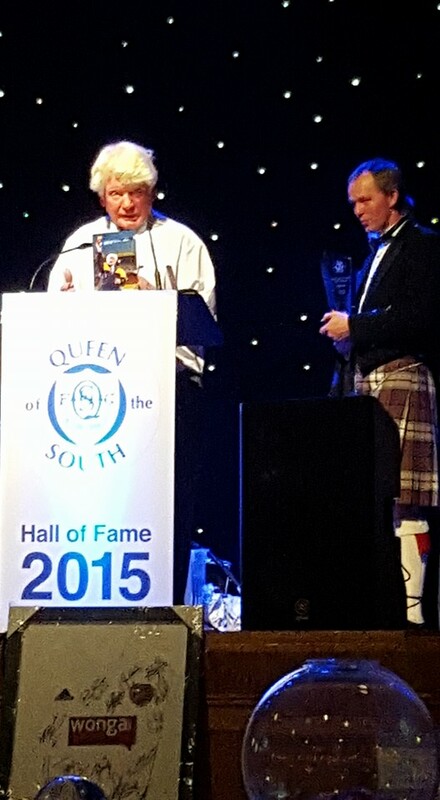 Davie gave a speech encompassing some of the highlights of his time watching Queens, particularly the 2008 year. Next up former Queens player and coach Neil Scally, now an assistant to Ian McCall at Ayr United, gave a hilarious introduction to the recently departed Paul Burns. 'Burner' has served the club tremendously over two spells totalling more than 10 years and is 15th in the all time appearances list. His highlight in that time was scoring in the Scottish Cup semi final against Aberdeen and going on to play in the final. A well deserved inductee, you can't help but feel he would still be a big part of the team this season if he had stayed on. 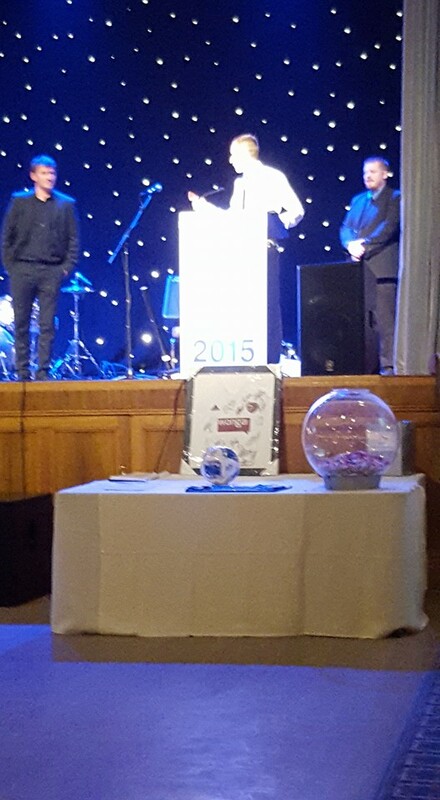 Now playing for Cumnock Juniors and working for British Telecom, Paul thanked his audience for his induction. 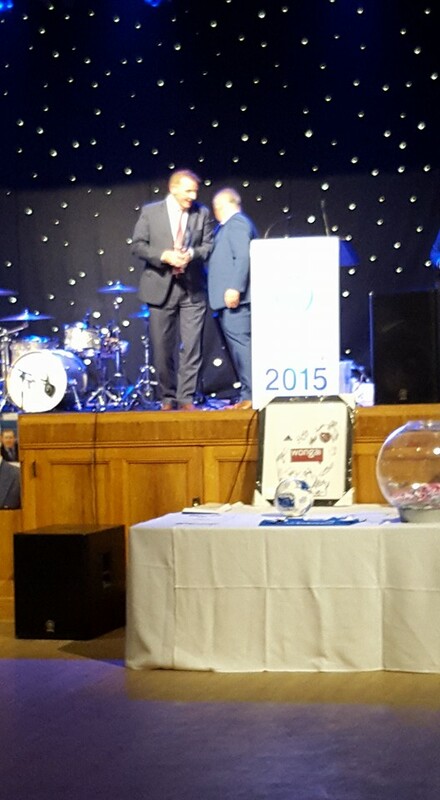 Next up for induction was mercurial former winger Jimmy Robertson. 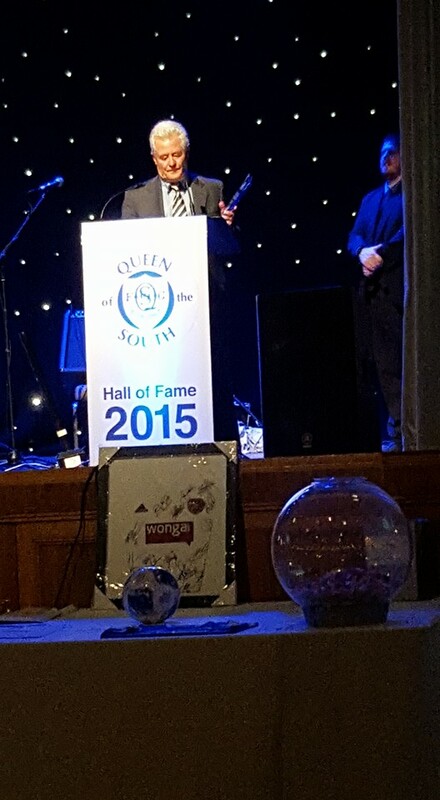 Allan Ball, a former team-mate for many years and the first inductee to the Queens Hall of Fame in 2011 had been due to perform the introductions for Jimmy but unfortunately was unwell over the weekend and was unable to take his usual seat at Palmerston. The club are very grateful to another former team-mate of Jimmy's, Bill Sim, who stepped in to present Jimmy with his award on the day and produced a memorable introduction at very short notice. Apparently playing behind Jimmy wasn't easy and there wasn't a lot of tracking back when he lost the ball! Jimmy Robertson played for Queens in two spells for more than a decade and is 7th in the all time appearance table and 9th (currently) in the all time scorer list. Jimmy recently got married to his long term partner and had been on honeymoon when his induction was announced but was delighted to hear the news and spoke well about his memories of his time at the club. The 4th induction of the evening was the late Jim Kerr who sadly died a few years ago. 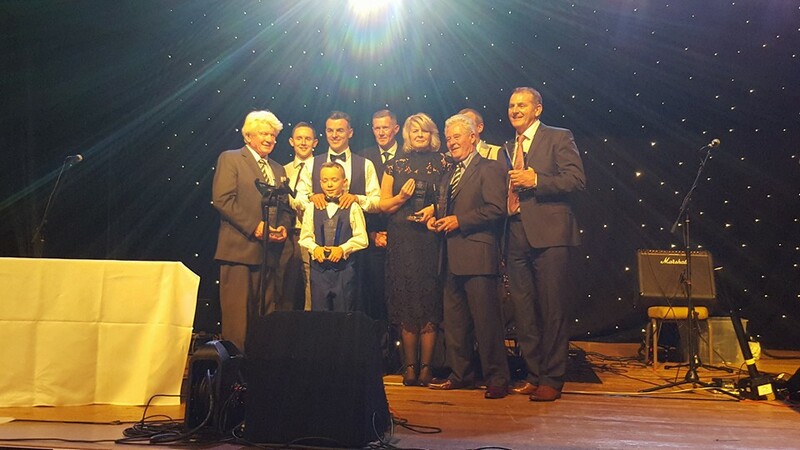 His former team-mate Lex Law stepped up to make a fine speech about Jim's contribution to the club (one place above Jimmy Robertson in 6th in the all time appearances list) and then Jim Kerr's three children accepted the award on behalf of their late father. The 5th induction saw another man already in the Hall of Fame, former striker Andy Thomson, step forward to intruduce his long time Chairman whilst with Queens, Norman Blount. Norman took over as Chairman in 1994 after the incumbent Board almost all departed and put together a group of directors who lifted the club from the slumbers it was in at the time and began the modernisation process that brought us to where we are today. Although only at the helm for five years his contribution cannot be over-stated in turning the club around. One of his early acts was to negotiate the sale of Andy Thomson to Southend United for a record fee and use the funds to build the new 'East Stand', now known as the Rosefield Salvage Stand which at a stroke more than doubled the seated capacity of the ground. Both Andy and Norman shared their memories of that transfer negotiation. Finally, it was time for the relatively unusual step of inducting a current player into the Hall of Fame. 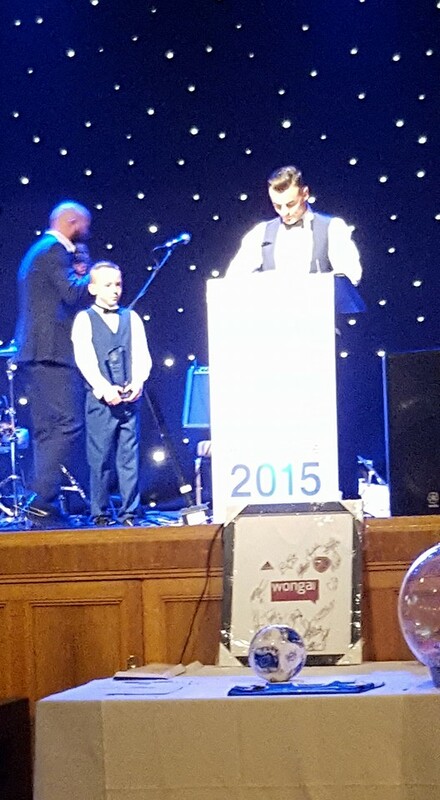 Head of Youth and Community Jim Thomson, himself an founding member of the Hall of Fame, stepped up to introduce his close friend Derek Lyle in a very funny speech. Derek Lyle has technically had four separate spells with Queen of the South in his career since first arriving on loan from Partick Thistle in early 2002. Brought back for his 4th spell by Allan Johnston in 2012 as an old head to play alongside young guns Nicky Clark and Gavin Reilly, I doubt even 'Del' thought he'd be one of the most prolific strikers in a league that included Rangers and Hearts three years later. In total he has made almost 300 appearances for the club now and has scored 86 goals which sees him 10th in the all time top scorer list. There is every chance he'll move higher in the next few months too as he trails Jimmy Robertson and Ian Reid by just three goals and if he could add another 10 would also pass Tommy McCall, Stevie Mallan and Tommy Bryce. A top 5 spot is certainly achievable. He is also the most decorated Queens player in history with FOUR winners medals in his time at the club. In 96 years the club itself only has five in total but Del was involved for all of the ones that happened after he was actually born! A snappily dressed Mr Lyle, who had four tables of friends and relatives in attendance, stepped forward to accept his induction accompanied by his young son Jay. There followed a short fund raising auction and then everyone moved outside for a fireworks display to celebrate the evening. A free raffle also took place before Bruce McKenzie closed the formal part of the evening and the band took over to play for a couple of hours and guests took to the dancefloor.